Doctor Recommended remote programming. Clinical Knowledge from an athletic mind. As WODdoc has grown so many great questions have poured in about functional fitness injures. How do I fix this? Why does it hurt when I do that? How can I improve this? How can I prevent that? Before the launch of WODhabilitation I was often limited to the answers I could provide. Through WODhabilitation I can now provide much more accurate and detailed information through personalized remote programming, guiding athletes back to what they love to do most! Athletes schedule a video consultation. Confirmation of the appointment time will be emailed to the athlete along with detailed paperwork that must be filled out prior to the appointment time. Video consultation will be performed via Skype. History will be reviewed and video examination will be performed. At the conclusion any additional video analysis or information needed will be requested. Within 24hours following submission of any additional information athlete will be provided with 1 week of personalized WODhabilitation programming. Additional programming can be purchased at 1, 3, or 6 month intervals. During this time weekly programming will be sent based on the individual athletes limitations, progress and aspirations. What can WODhabilitation be used for? WODhabilitation is directed by Dr. Tim Simansky, a Chiropractor and Strength & Conditioning Coach that specializes in sport rehabilitation and injury prevention. He has worked in all levels of sports from the beginner to professional setting. Crossfit is his passion and he has been deeply involved in the treatment/rehabilitation of functional fitness athletes since 2010. Working on the medical staffs of the Crossfit Regionals and Games he has gathered a vast amount of knowledge of Crossfit injuries. Being a crossfitter himself he understands the constant urge for progression yet as a clinician he has the knowledge to balance that with safety. WODhabilitation programming is personally designed to each individual. It takes into consideration foundational strength, mobility, stability, and functional symmetry. 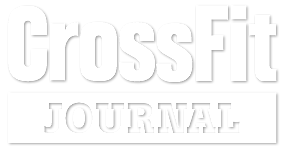 In many crossfit athletes their talent overshadows their foundational ability. WODhabilitation’s ideals focus on ensuring a solid foundation in which skill is built upon. It’s about optimizing function to optimize performance. Will this take over for my current programming? It depends on the situation at hand. If the athlete presents with an injury in which continuing on with their current training is deemed dangerous then yes. If there is no risk at hand the athlete can continue with their current training and WODhabilitation will be provided as supplemental mandatory training. The athlete would be required to send in their weekly training and WODhabilitation would customize around their decided programming. "The Only Worthless Knowledge Is The Knowledge You Don't Share"